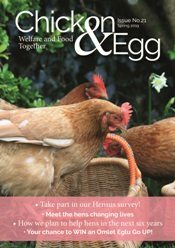 How does your gift help hens? 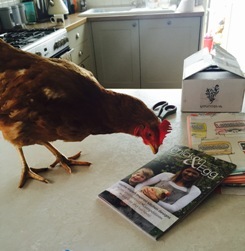 You can help us to help caged hens by leaving a gift in your Will. We make every penny we receive work for the benefit of these humble creatures through our positive campaigns and our educational work. You can read about those who have already decided to leave a gift in their Will here. Making a Will is the only way you can be sure that the money you leave benefits the people and causes that really matter to you. It is best done through a solicitor; that way there is no room for error (the legal jargon can sometimes be confusing). Any money you leave to a charity is not taxable, one of the few times you are able to beat the taxman! A pecuniary legacy is the gift of a particular sum of money. A specific request is the gift of particular item (a piece of jewellery, for example). A residual legacy is where the gift is all (or part) of the value of your estate, after expenses and other legacies have been paid. You can use the following wording as either part of a new Will or as a Codicil to an existing one. I give to the “British Hen Welfare Trust” registered charity number 1147356, whose head office is or was Hope Chapel, Rose Ash, South Molton, Devon EX36 4RF. (WHAT YOU WANT TO GIVE) absolutely free of taxes and I declare that the receipt of the treasurer of the said ” British Hen Welfare Trust” shall be sufficient discharge to my Executors. It is very important that the name of the charity; British Hen Welfare Trust and the charity number 1147356, are clearly shown. Remember to keep your Will up to date – if you marry, divorce, separate or are widowed, you will need to alter it. How do you find more information? For more information please contact Megan Holland at megan.holland@bhwt.co.uk or fill out the form below.